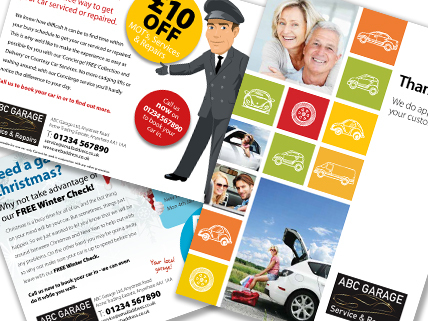 Professionally designed and written leaflets and adverts to help you attract new customers. Attract new customers with our professionally designed and written graphic templates. Be proactive and reach out to your customers with mail drops and inserts. They are still one of the most effective forms of attracting local business. These will be personalised for your use and the artwork and print can be purchased for a one-off fee.